Convert existing normal or image PDF files into fully searchable ISO 19005-1, ISO 19005-2 and 19005-3 compliant archivable documents. Select Open PDF from the Start Menu Screen. Select the PDF file you want to convert. Select PDF to PDF/A from the Main Ribbon Menu Convert options. 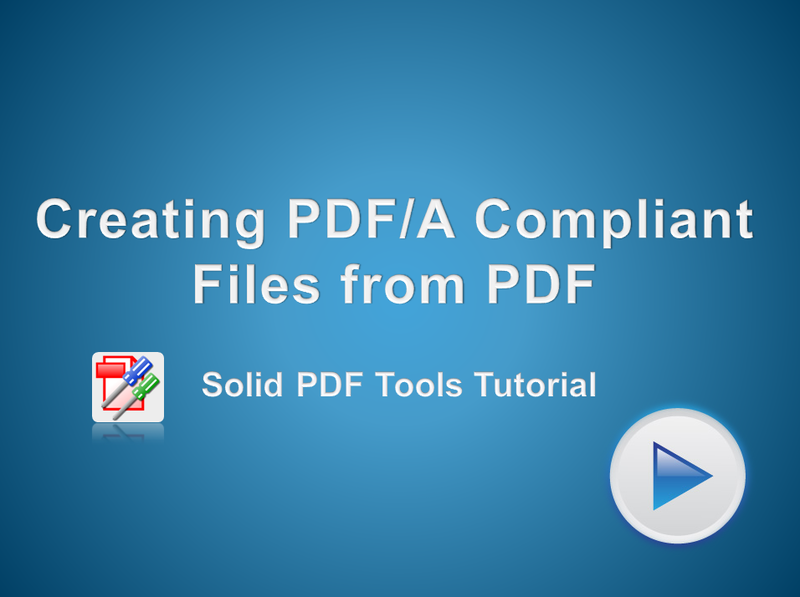 Choose the Compliance level you want to use when converting your file. Click on PDF to PDF/A once more to Save and Convert the File.